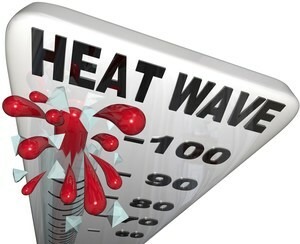 Triple digit hot weather Today through Wednesday: take precautions! All LEUSD Schools and divisions are to follow heat and air quality protocol today through 9 p.m.Wednesday resulting from the following Heat Advisory by the National Weather Service...Inland temperatures today will vary between 100 and 112 degrees F.
will be most susceptible to dangerous heat illness. Outlook: Cooling is expected for Thursday into next weekend.